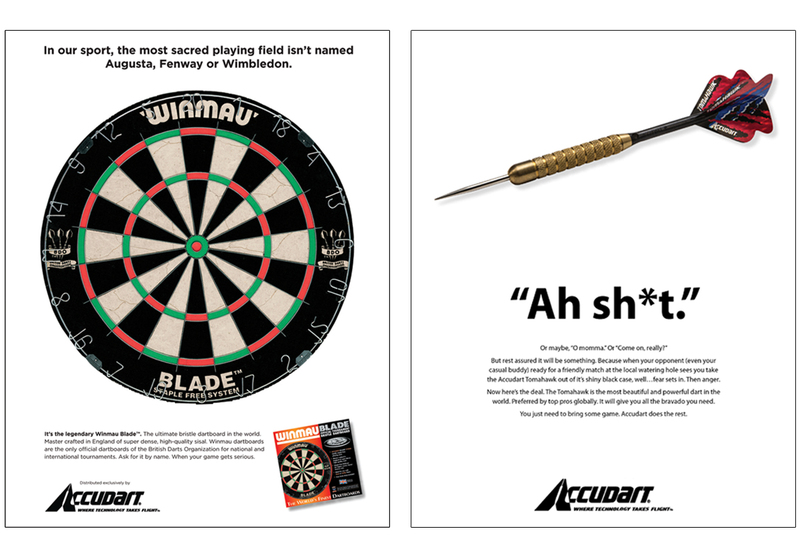 Accudart is America’s number one name in darting and sets a standard for craftmanship and product excellence. 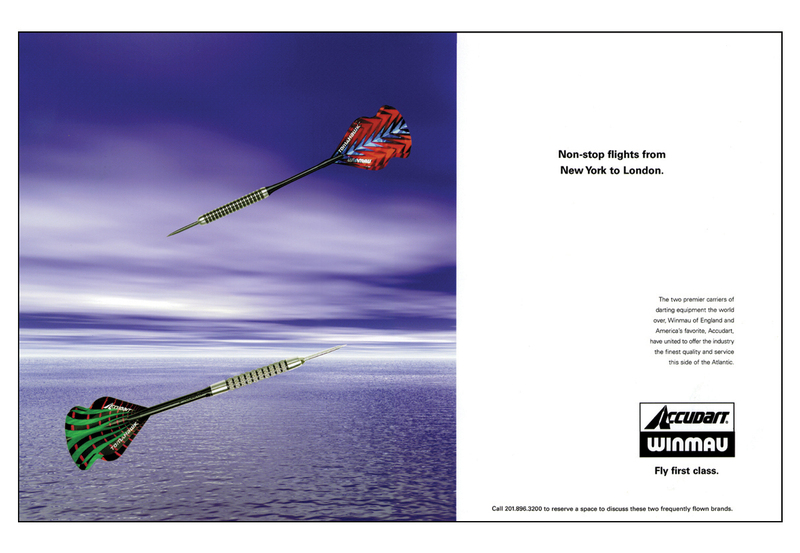 We helped the company merge with Winmau of England who built the world’s most coveted dartboards and combined the two companies for a trans-Atlantic feel. 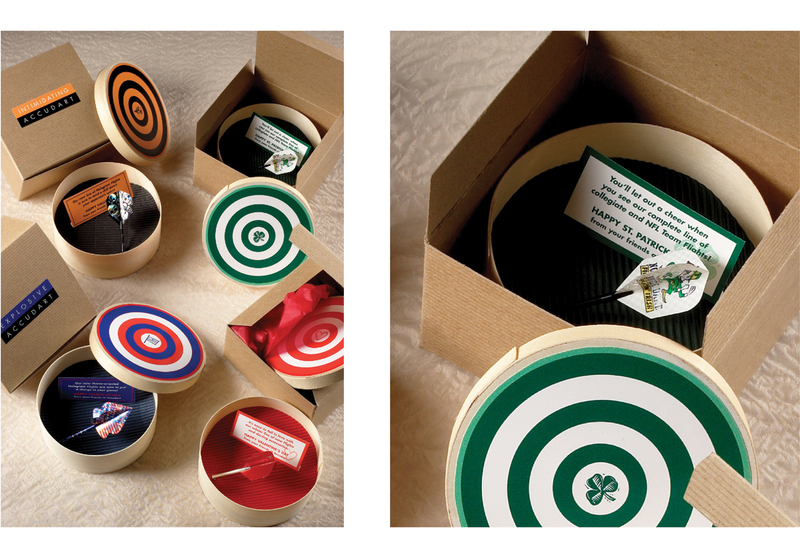 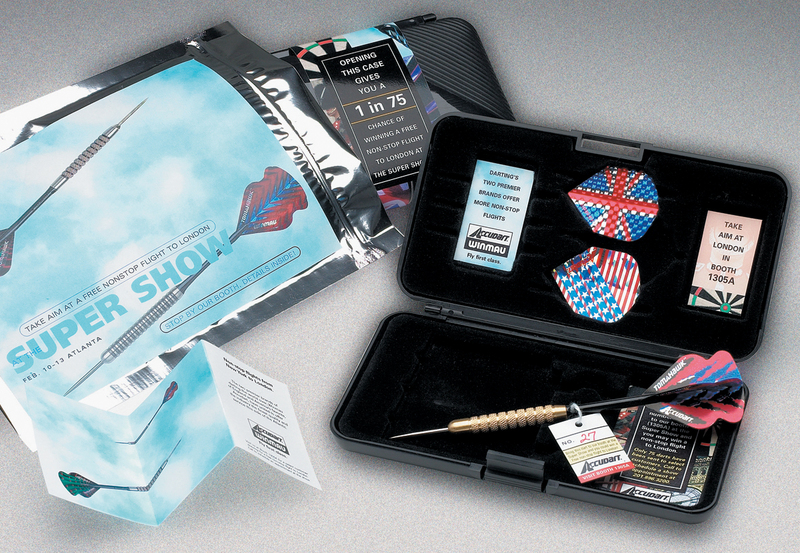 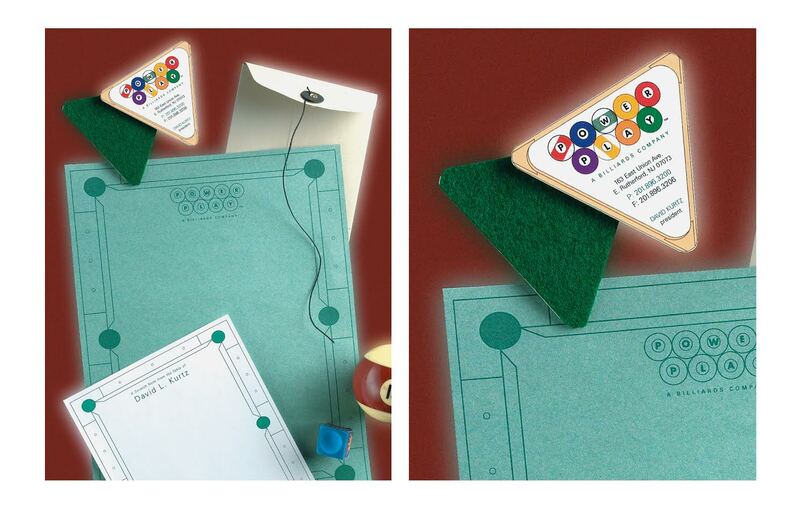 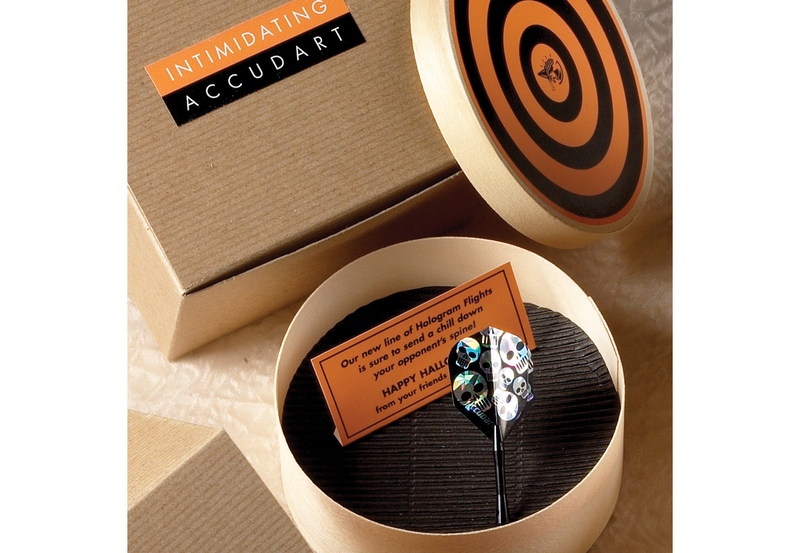 Our “off-season” holiday dart boxes for Accudart were a Best of Show winner at the ADCNJ Awards. 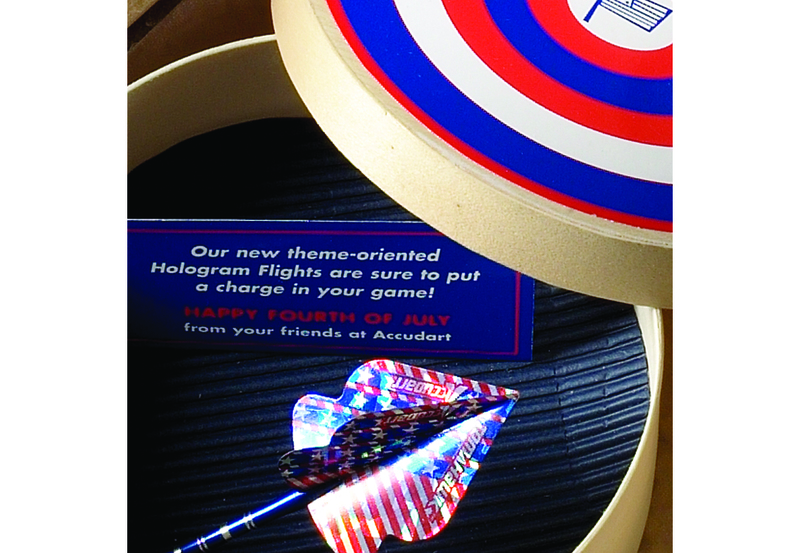 We also designed the identity for Accudart affiliate, Powerplay Billiards.